Pablo Fuciños holds Diplomas in Agricultural Engineering (2000) and Food Science and Technology (2004) from the University of Vigo (Spain), where he also obtained a PhD degree (2007) on the production and purification of lipolytic enzymes from thermophilic microorganisms. He has broad expertise on the development and optimization of biotechnological processes, including production, purification and characterization of microbial enzymes; synthesis, application and modelling of smart nanohydrogel-based systems and the production of bioactive compounds from by-products of the food industry. 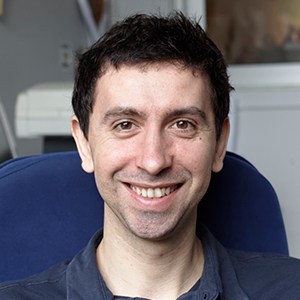 During his postdoctoral training he has worked in the Department of Physical Chemistry, at National University of Rosario (Argentina); the School of Chemical Engineering at The University of Manchester (UK); the Group of Biotechnology and Genetics of Extreme Thermophilic Bacteria, at the Centro de Biología Molecular Severo Ochoa (Madrid, Spain); and the Group of Recycling and Recovery of Waste Materials at the Institute of Marine Research (IIM-CSIC, Vigo, Spain). In May 2014, Pablo joined the International Iberian Nanotechnology Laboratory (INL) as a Marie Curie Postdoctoral Researcher. He has been the Head Researcher of a project for the use of geothermal waters in lipolytic enzyme production by thermophilic microorganisms. Currently, he is co-supervising 3 PhD students As a results of his research activity yielded four patents (two of them International PCT-Patents, which are licensed and in commercial exploitation), 29 papers published in international journals indexed in the SCI (with more than 200 citations; h-index of 9), 5 book chapters, and 34 conference contributions. Fuciños, C., Fuciños, P., Míguez, M., Katime, I., Pastrana, L. M., & Rúa, M. L.
Temperature- and pH- Sensitive Nanohydrogels of Poly(N-Isopropylacrylamide) for Food Packaging Applications: Modelling the Swelling-Collapse Behaviour. PLoS ONE, 9(2), e87190 (2014). Cerqueira, M.A., Costa, M.J., Fuciños, C., Pastrana, L.M., Vicente, A.A.
Development of Active and Nanotechnology-based Smart Edible Packaging Systems: Physical-chemical Characterization. Food and Bioprocess Technology 7 (5), pp. 1472-1482. (2014).